An investigation by the Information Commissioner of Canada concludes the Harper government muzzled scientists. It took five years, but the results of an investigation by the Information Commissioner of Canada were released and the verdict is in: the Harper government did muzzle scientists. The investigation by Information Commissioner Suzanne Legault began in 2013, based on a complaint by the University of Victoria's Environmental Law Clinic and the advocacy group Democracy Watch. 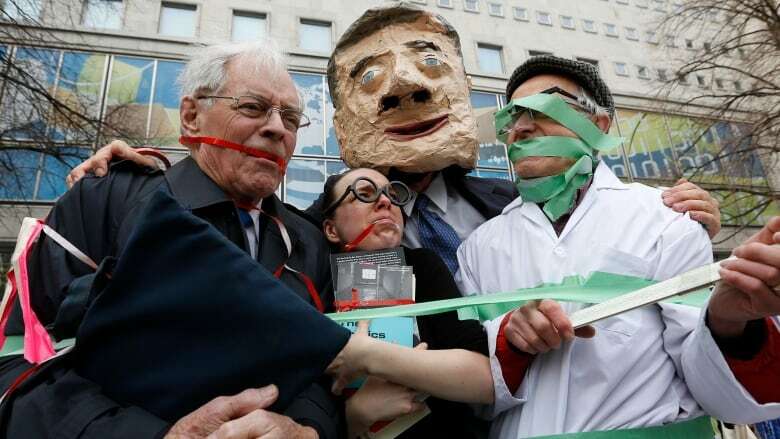 The groups submitted a report detailing a series of examples of Harper government officials blocking media access to scientists. In one case, a government scientist was ordered to get permission from the Minister of Natural Resources before he could talk to reporters about a flood that happened 13,000 years ago, even though his research had just been published in the journal Nature. In another example, it took 11 government employees and 50 emails to decide how to answer a reporter's request to interview a Canadian government scientist who was part of a NASA team studying regional snowfall patterns. Most of the muzzling involved scientists researching climate change and other politically sensitive issues. Two University of Alberta scientists were given a script telling them how to answer media questions about their own research that found evidence of air and water pollution from Alberta's oilsands. In another case, an assistant deputy minister and other government officials crafted answers to a reporter's inquiry about published research on an ozone hole. The reporter was told to attribute the written responses to the scientist. Later, documents obtained under access to information revealed the scientist saying he hadn't submitted any responses. ​Legault investigated those cases and came up with a few of her own. She also interviewed journalists, scientists and government media officials. She concluded that the complaints about muzzled scientists were "well founded." "This is a very troubling finding against the Harper government," Calvin Sandborn, legal director of University of Victoria's Environmental Law Centre, said. "What we need to make sure is no future government can do it." Legault made a series of recommendations to the Trudeau government, which took office in 2015, to ensure that government science is available to the public and that scientists are not afraid to speak freely to the media. Meanwhile, some federal scientists say they still feel muzzled by the current government. More than half of the 3,000 scientists who answered a survey last year said they did not feel they could "speak freely and without constraints to the media about work I do at my department/agency." The survey was conducted by the union representing more than 15,000 federal scientists.